Paintball laws throughout Australia vary from state to state, with many supporters of the sport calling for a uniform set of rules and regulations to be applied throughout the country. Due to the differences in Australian law it has taken longer for the sport to spread throughout the country. Even still, the popularity of paintball in Australia is dramatically on the increase with paintballing standards and facilities constantly improving. This is great news for paintball enthusiasts as there is a new wave of exciting paintball facilities opening to test the skills of both amateurs and professionals alike. But while the quality of paintball centres are improving the paintball laws remain the same, with some operators saying that Australia’s laws regarding paintballing are outdated. 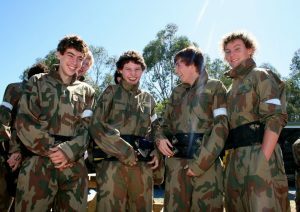 The police in each state control paintballing in Australia, and as such the minimum legal age of players is not consistent across the nation. 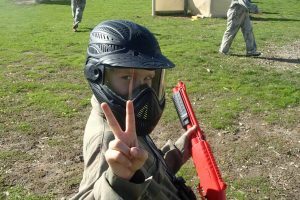 The minimum ages to play paintball is 16 years in Victoria, 18 years in Northern Territory, 16 years in New South Wales and the Australian Capital Territory, 15 years in Queensland, 12 years in Western Australia and 10 years in South Australia. All players under the age of 18 years must complete a parental consent form prior to playing. In Tasmania, the sport of paintball was banned after the events of the Port Arthur massacre in 1996. In an attempt to achieve a standard minimum age across all states and territories, the AUPBA met with the Honourable Michael Daley (Minister for Police) and the Honourable Jodie McKay (Minister for the Hunter) at Parliament House to discuss reducing the legal playing age in NSW to 12 years of age. If achieved, the AUPBA would then attempt to get the minimum age standard across the board. The AUPBA was established to help protect and promote the sport of paintball, and this is one of our main goals in achieving that. By reducing the minimum age we are opening the sport to a wider market where people can have a fun day out with their family and friends in a safe and controlled environment. The AUPBA – constantly working towards a brighter and better future for Australian paintball.